I've found that products that have been around a long time usually do a great job at they claim. There is something to be said for longevity. After all, if the product didn't work, it probably wouldn't be on the market. Staying power and quality are two reasons that I turn to 20 Mule Team Borax. 20 Mule Team Borax is 100% natural mineral from the earth. Absolutely nothing is added. When you add 20 Mule Team Borax to your wash, the components soften hard water. By softening the water, the Borax protects your detergent, which maximizes the detergent's cleaning power. Here's the way to get cleaner clothes. Add 1/2 cup of 20 Mule Team Borax to every load along with your detergent. What you will find is cleaner clothes and reduces stains being re-deposited on your clothes. One of the main reasons I keep 20 Mule Team Borax in the house is for particular clean-up, puking. I know - gross topic. But, I have a son who has a tendency to blow chunks on too many occasions. This product cleans up that particular mess extremely well. From removing the stain to eliminating the smell, I will always have this product in the house. Would you like to try 20 Mule Team Borax? I have 3 product coupons to give one of my readers. Please use the Rafflecopter to enter. Disclosure: I received this product to use and coupons to giveaway. All opinions are my own. I haven't used it, but I hear it's great! I like to keep it in my house too. Love it for laundry. Thanks!! I have never used it but would love to try it! I haven't used borax yet. No I have not used it, but am anxious to do so! No, but I remember my family using it growing up. no I have never used Borax, but I really want to try it. No, I haven't! But excited to try it! 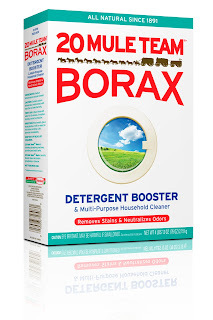 I haven't tried Borax yet but I've read great reviews! 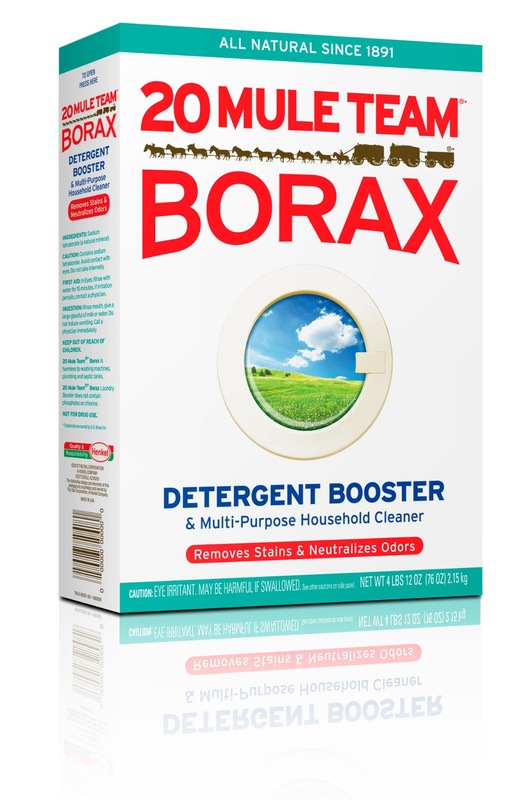 I use borax with my laundry , thank you! I've never tried it but have heard great things! No, never! Now hearing and reading the reviews are getting my interest peaked! No, but I have a great recipe for homemade laundry detergent that calls for it that I can't wait to try!